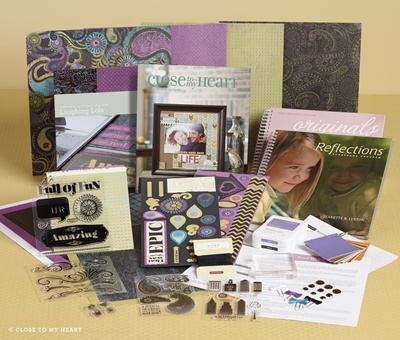 Create with Traci: A deal too good to pass up! I wanted to show off the fantastic NEW CONSULTANT KIT! Get ALL of these items (about $155 value) for only $49 plus shipping and tax!! The Laughing Lola workshop kit all by itself is $29.95 in the book PLUS you get more stamps, chipboard, and two "how to books" that are valued at $14.95 EACH. This is a FANTASTIC deal even for the hobbyist that just wants a discount on supplies! Close To My Heart accepts ALL types of crafters into the business. We carry THE MOST PERFECT traditional scrapping supplies, fabrics, jewelry making supplies, home décor, stamping AND YES... even an online digital scrapping program. You really can't go wrong with a $49 starter price because THERE IS NO PENALTY if you sign up, get your kit, and decide it isn't for you. Keep your kit with no further requirements. NOW... if you WANT to be a business builder- and earn GREAT rewards... this business is for YOU too. I have been a consultant for 8+ years and am currently a Director. I have a facebook page for my team, send monthly newsletters, and answer questions within an hour during the day or the following morning if you ask after 10pm. I have a FULL TIME job, 2 little kids, PTA board member, soccer mom, church mom, my kids take swimming lessons a few times a year. I am BUSY... but I love CTMH and all that it has brought to my family and I would LOVE to share that with you! What has my CTMH income purchased? 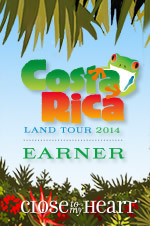 PLUS- I am weeks away from earning a trip to Costa Rica for two people!! Airfare plus room at an all -inclusive resort! CTMH has been GREAT for my family and it can be great for YOURS! JOIN MY TEAM by clicking here (remember- no penalty if you change your mind about selling!) I will contact you within a day to find out your level of interest and if you want to earn an income I will help you set goals and find out how to go Straight to the Top! BONUS: Join NOW and when you place your first consultant order of $75 or more (not counting your starter kit) you can purchase the special National Stamping Month triple stamp set for only $15!!!! Plus you'll receive your 22% consultant discount off the purchase! Customers can order in September but consultants can order NOW.